The suicide bomber had detonated near a bus terminal when the Frontier Corps vehicle was passing by, Quetta police spokesperson Abid Mengal told Efe news. 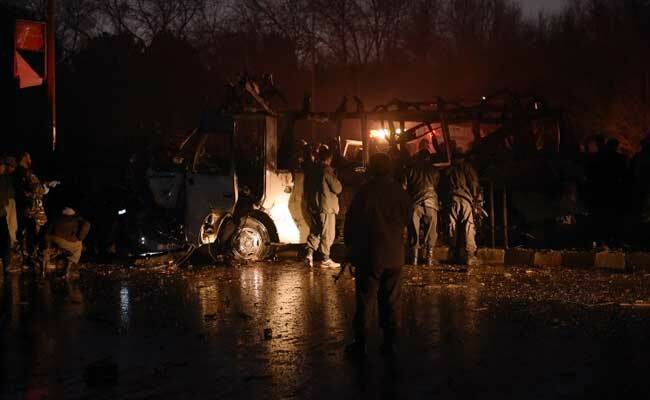 Islamabad: At least five people were killed and another 20 were wounded in a suicide bomb attack targetting a security forces vehicle in Pakistan's southwestern city of Quetta on Saturday. The suicide bomber had detonated near a bus terminal when the Frontier Corps vehicle was passing by, Quetta police spokesperson Abid Mengal told Efe news. The Taliban claimed the attack in a statement. "We accept responsibility of the suicide attack on Saryab Road, Quetta," Tehrik-e-Taliban Pakistan (TTP) spokesperson Mohamed Khurasani said. The wounded included several members of the security forces. Quetta, the capital of Balochistan province, is among the most conflict-ridden areas in Pakistan, with armed separatists, Taliban factions and terrorist groups operating in the region. Attacks against the security forces are common in the city and have intensified in recent weeks. On November 9, a senior police official of the city was killed in an attack and six days later, a superintendent of police was shot dead, along with his wife, son and brother. On Friday, two people were killed and another five were wounded in a suicide bomb attack against the vehicle of a senior police official in Peshawar.